A Chartered Surveyor by profession, Howard has been involved in folk music since his teens. He began performing in folk clubs in his native Essex, in particular at Blackmore and Chelmsford, and later around Reading, where he attended university. He was also a member of the Blackmore Morris Men as both a musician and a dancer. In 1981 Howard moved to Cheshire, and shortly afterwards he was invited to join the Electropathic Battery Band, later the Electropathics, who were to become one of the most popular and innovative ceilidh bands of the 1980s. With the Electropathics, and also as a solo performer, Howard has performed at festivals, ceildihs and folk clubs all around the country, and has appeared on both local and national radio. 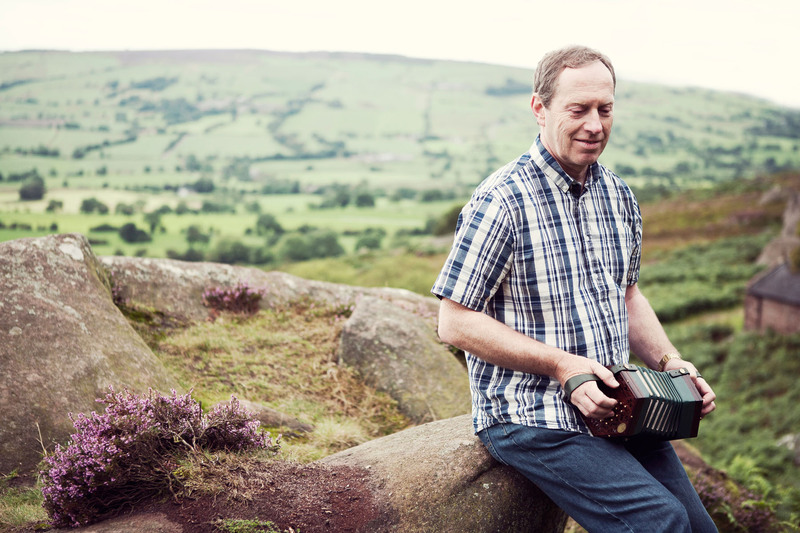 Howard has also taken workshops in playing concertina and melodeon. As well as more formal performances, Howard enjoys playing in sessions and can often be found at the Friday night session at the Harrington Arms, Gawsworth, near Macclesfield. You can find more at Howard’s web site.